The cozy piano bar in the Arenas Business District marks new ownership with a grand opening on April 25. Stacy's Palm Springs originally opened in 2017 on Arenas in downtown Palm Springs. 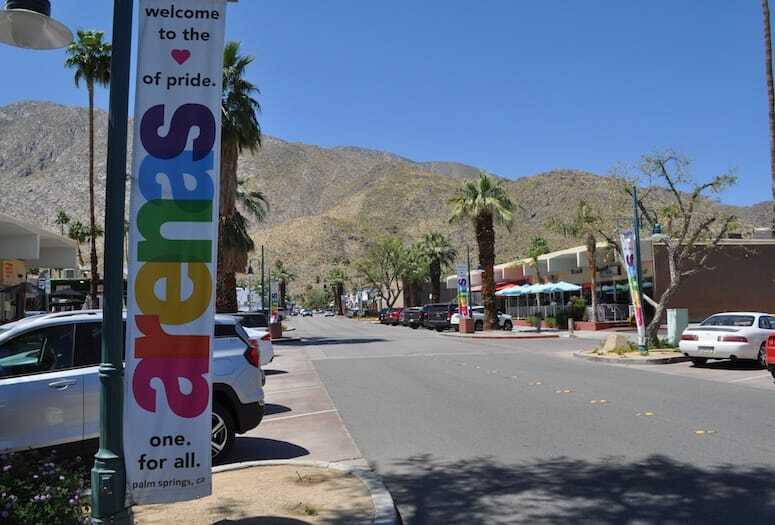 Stacy’s Palm Springs, which originally opened in the fall of 2017 as the newest addition to Palm Springs’ Arenas Road business district, is making a fresh start under new ownership with a grand opening event at 3 p.m. April 25. On the same day, Stacy’s will support Dining Out for Life by donating 33 percent of sales that day. New owner Joseph Miller has traveled the world from Africa, Europe and Asia, working on industrial and environmental projects in developing and developed countries. Dima Pevzner, Joseph’s longtime partner of 14 years, often traveled alongside him and both are inspired by the many piano bars and speakeasys on their trips. They came to Palm Springs first as tourists, visiting the various establishments on Arenas Road but were drawn more to the quaint feel of Stacy’s. Once learning the bar was up for sale, they jumped at the chance to turn Stacy’s into a unique destination for the residents and tourists of Palm Springs and the Coachella Valley. “We know people will fall in love with this little gem as much as we have,” says Miller. Stacy’s Palm Springs is the only true piano bar in town focusing on jazz, piano, and music from the great American songbook. The interior is a speakeasy chic style adorned with glitzy chandeliers and antique mirrors grounded by an art-deco wallpaper. Entertainers sing and perform live nightly around the baby grand piano and keep the room swinging four days a week – Thursday through Sunday evenings. Offering unique craft and specialty cocktails such as, Stacy’s Pineapple Express – an in-house infused pineapple and premium vodka cocktail. “Adding new and exciting cocktails to the menu using fresh ingredients is important to us as we continue to refine the bar,” says Pevzner. 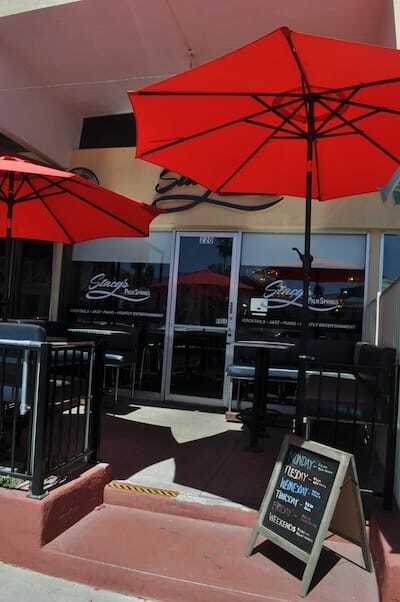 Stacy’s Palm Springs, 220 E. Arenas Road, Palm Springs, 760-620-5003; stacysbarps.com.